DataStage is an ETL tool and it uses a graphical representation to build data integration. It is available in various versions. The architecture of dataStage is a client-server architecture. 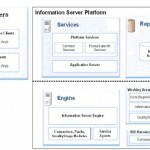 We have different types of client-server architectures. DataStage 7.5 version was a standalone version where DataStage engine, service and repository (metadata) was all installed in once server and client was installed in local PC and access the servers using the ds-client. Here the users are created in Unix/windows DataStage server and was included to the dataStage group (dsadm is the owner of the DataStage and dstage is the group of that. )To give access to the new user just create new Unix/windows user in the DS-server and add them to dstage group. The will have access to the DataStage server from the client. I encourage you to see this Data Science video tutorial that clarifies what is Data Science and all that we have talked about in the blog. Proceed, appreciate the video and reveal to me what you think. Data Stage Administrator – It is responsible for creating, deleting projects and setting the environment variable. Data Stage Designer – It is used for designing the job. Data Stage Director – It is responsible for run, validate and scheduling the jobs. 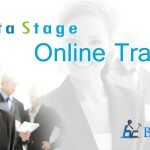 Data Stage Manager – It is used for export and import the project. Repository or project – It is a central store containing all info.